← No Monitors? No Soundcheck? No Problem! We all get misty when we tell the “back in the day” stories about music. Maybe it’s a generational thing, or maybe it’s a natural reflection on how music is packaged and purchased now as opposed to 25 years ago, but it does seem like the whole buying experience was a lot more FUN back when it was a tactile event, as opposed to today’s purchases always being one click away. “400 Saturdays” is a new book, wonderfully compiled by Kim Johnson-Bair, that chronicles the lifelong quests and obsessions of 58 music fanatics. While those interviewed come from various backgrounds, there are many common threads that repeat when reading their stories. Music was an active part of their growing up years, so the passion was as much inbred as it was genetically passed on. More importantly, almost everyone interviewed makes mention of how the search was almost as import as the find, how buying and interacting with other musicaholics was just as cool as the actual listening to the records was. The Dictators get many mentions as influences, which shouldn’t be a huge surprise, considering that two of this site’s regular contributors are amongst the interviewees. The whole thing is a fun read, and has assumed a position of honor in my reading room. It’s available at 400saturdays.com. It’s a thrill to see Kim’s project finally see the light of day. 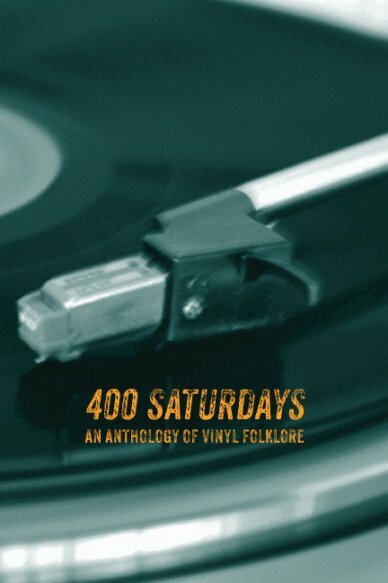 “400 Saturdays” is well worth nabbing, it’s a very sweet read for any vinyl obsessive. Especially recommended are the chapters featuring…US! Kim…here’s hoping “400 Saturdays” is just the first of many books you publish. We’re already waiting for the next one!